ArtsArchitecture worked in collaboration with Theatre Projects Consultants to produce the outline design and theatre planning for a new 1800-seat show theatre for the Galaxy Casino development in Macau, China. 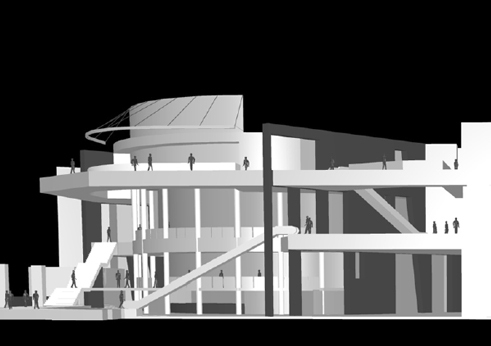 ArtsArchitecture’s role was to develop the front of house and backstage planning within an envelope prescribed by the overall master-planning architect, Simon Kwan Associates. 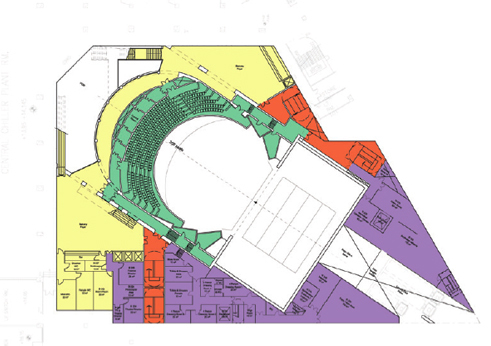 The theatre has been designed to accommodate both regular entertainment shows for the casino customers as well as occasional award ceremonies, and the need to accommodate various levels of VIP guests was an important factor in planning the circulation and auditorium. 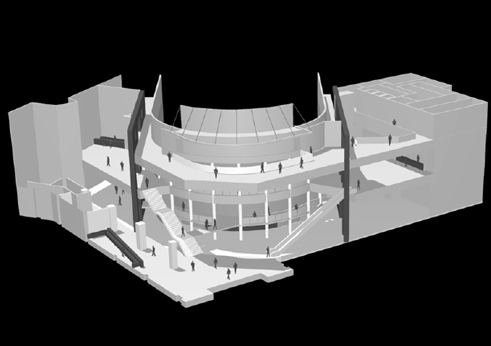 Our foyer concept expresses the outer wall of the auditorium and envelops it in a 3-storey colonnade overlooking a grand entrance atrium space containing the vertical circulation to the upper tiers. The side walls of the auditorium continue out as punctured screens, behind which are positioned a series of refreshment spaces. 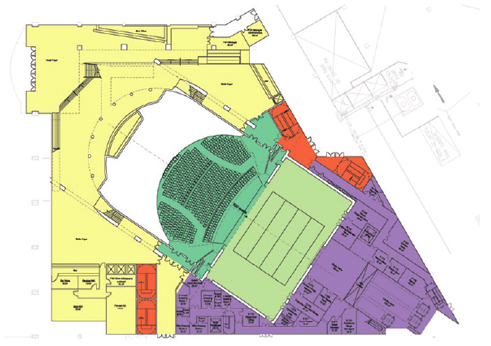 A large skylight window setagainst the curved auditorium wall allows daylight to flood down into the atrium space. 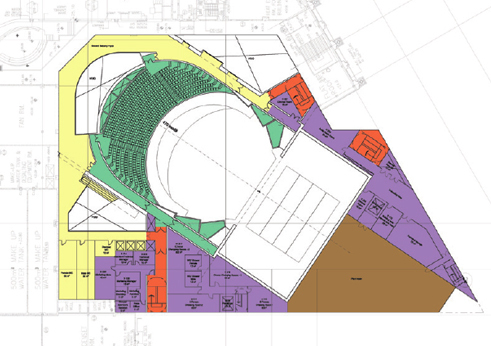 Backstage and administrative accommodation has also been comprehensively planned and a fire strategy including detailed calculation of means of escape incorporated into the overall planning of the casino complex.